The mouseover title: "This comic book directly inspired by something Gretchen McCulloch said." …or are there others out there? I see a lot of people on the train in the morning with eco-friendly slogan tot-bags. Those tote bags often contain a single-use bottle of mineral water and a microwavable meal-for-one with a very high packaging-to-content ratio. Keith, even the tote bags might not be eco-friendly, whatever their slogan. Ms Green's bag has three sides? 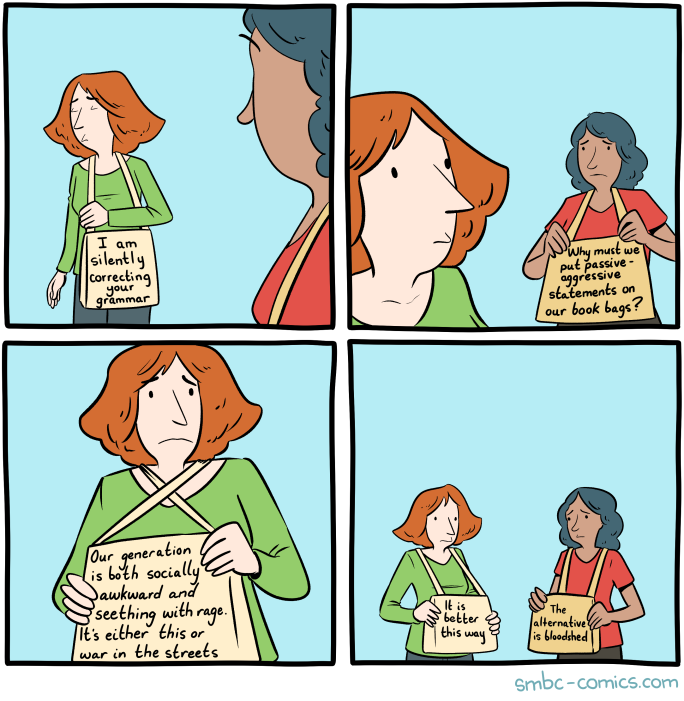 @ David Morris – It's a book bag, so it might have a flap that could be flipped over to show a third panel. @mgh – I caught that too. Sounds like prescriptivision, maybe the grammar police's version of rose-coloured glasses? The aftercomic is titled "My Bag," so I presume the bag belongs to Zach Weinersmith. It notes a conventional cotton one would require 7100 reuses and an organic cotton tote 20,000 reuses. (Although organic farmers use pesticides, the pesticides are less effective than conventional ones. Most pest damage happens when the crop is nearly fully grown, so the water & fertilizer invested in the crop is wasted). Thank you very much for sharing that eye-opening, mind-boggling Quartz article. This has been my own moral philosophy of the environment since I was a little boy. 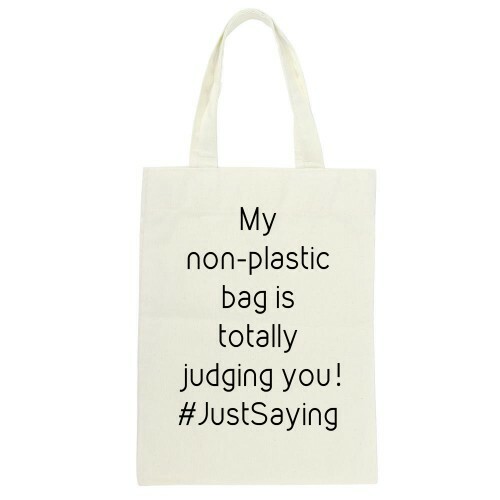 I reuse all my paper and plastic bags many times, and I keep my cotton totes for years. I've had my knapsack for about 25 years and invested more than a hundred dollars in repairs on it. I'm pretty much obsessive about using things (especially all of my clothing) until they fall to shreds. I do not do this for the purpose of virtue signalling, but as an existential part of my being — my way of relating to the world in which I live. Yes, a lot of these journalists and people writing press reports don't seem to understand that a good canvas shopping bag lasts on the order of 20 years (1000 to 3,000 trips) and consumes the same yardage as one shirt. Free disposable containers for your everyday shopping only became a thing in the last century, but somehow people survived for 100,000 years before that. 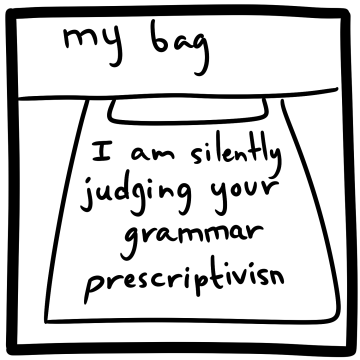 I want a tote bag that says, "I am silently miscorrecting your grammar" Or even better, "I am silently miscorrecting you're grammar". Faldone: I actually sell shirts with (almost) the latter.